Similar to civilian life, marriage and divorce are two major life-changing events for service members and their families. Engaged couples, newlyweds, and those celebrating many years of marriage can all benefit from marriage enrichment programs. Marriage enrichment programs are available through the Services, as well as local communities. Some programs are tailored to couples in crisis, while others offer general tips for effective communication, managing money, and renewing your marriage commitment. Take some time to research programs and find a good match for you and your spouse or spouse-to-be. Each Service offers marriage enrichment programs, generally sponsored by the installation chaplain. Marriage Care is a weekend retreat program designed to help Airmen and their families reintegrate into family life after a deployment. Marriage Care is open to active duty, reserve and National Guard Airmen, and their spouses. Strong Bonds offers single Soldiers, couples, and families relationship-building skills to thrive within the military lifestyle. The Strong Bonds couple weekend retreat is offered by Army chaplains and is designed to strengthen relationships, inspire hope, and rekindle marriages. Strong Bonds is open to active duty Army, Army National Guard, Army Reserve, and Air National Guard families. Chaplain’s Religious Enrichment Development Operation (CREDO) Spiritual Fitness Division provides Coast Guard, Navy and Marine Corps families with 4 programs offered at 10 locations worldwide. Retreat options include Personal Growth retreats, Warrior Transition retreats, Marriage Enrichment retreats and Family Enrichment retreats. All CREDO retreats are free, including meals and lodging. Registration is required. National Guard and Reserve families are eligible for the Service programs listed above, as well as marriage enrichment programs within your state of assignment. Marriage enrichment programs vary by state. While some are Service-specific, many programs are becoming “purple” and welcome families from all Services. If there isn’t a marriage enrichment program specific to your Service in your location, don’t be afraid to ask a sister-Service if you can attend their program. Contact your family support center or chaplain for more information about the programs listed above. Divorce proceedings are governed by state law; however, federal law provides guidance on how retirement pay can be divided and what benefits the former spouse may be entitled to. 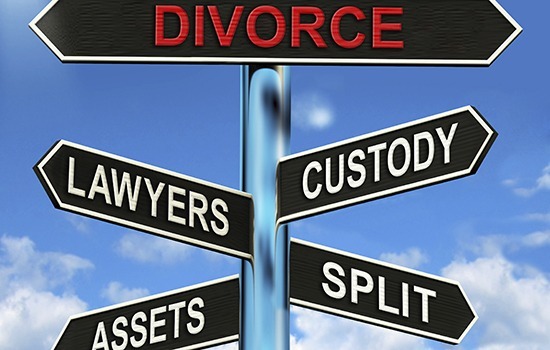 As a result, each divorce case is unique and there is no guarantee any benefits will be awarded by the state court. Be sure to consult an expert who can provide guidance on your case and the benefits available to you. During a separation, the service member is still responsible for providing support for the spouse and child(ren). Each Service has policies identifying what the support amount should be if the parties involved cannot come to an agreement. The spouse still retains a military ID card and full benefits during a separation. In most cases, the non-military spouse will lose his/her ID card (and privileges) once the divorce is final. In cases where a spouse is considered “20/20/20” or “20/20/15,” these benefits and privileges remain in tact. After your divorce is final, if you are not a 20/20/20 or 20/20/15 former spouse, and do not quality for military medical care, you have the right to enroll in the Department of Defense Continued Health Care Benefit Program (CHCBP). Coverage under this plan is almost identical to TRICARE Select and covers pre-existing conditions, including pregnancy. The plan must be purchased quarterly and a former spouse may retain the plan for 36 months after the loss of eligibility for military medical care. During a separation, a Commander may enforce Service-specific support guidelines for a spouse or child(ren), in lieu of a court order. Your installation legal assistance office is the best place to start. A Judge Advocate General (JAG) officer can provide guidance on military benefits, offer a referral to a civilian attorney within the local area, and may be able to review a separation agreement. To avoid any conflict of interest, a legal assistance office can only offer guidance to either the service member or spouse, but not to both. 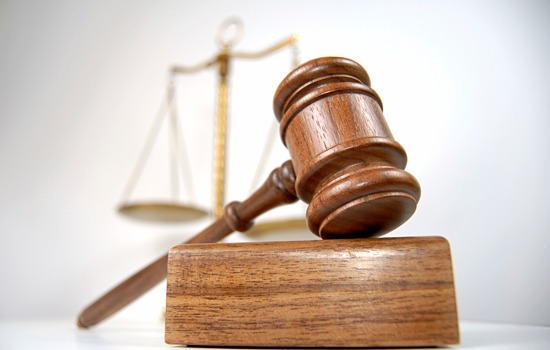 Additionally, a JAG officer cannot represent a client in a family law court. Keep in mind, divorce is governed by state law. You’ll want to find a family law attorney who understands your state specific laws, as well as federal protections. The main law governing military divorce is the Uniformed Services Former Spouses’ Protection Act (USFSPA or FSPA), Public Law 97-252 (Title 10 U.S. Code, Sec. 1408 etc. seq.). Effective February 1, 1983, FSPA returned to state courts the right to consider military retired pay as property upon divorce. FSPA provides a method of enforcing current child support and alimony awarded in a court order and permits a direct payment of retired pay (if awarded by the state court) for certain eligible former spouses. In certain cases, FSPA also allows some former spouses to retain commissary and exchange privileges, military health care, and designation as a Survivor Benefit Plan (SBP) beneficiary. Uniformed Services includes all seven branches, active and reserve components, of the Army, Navy, Marine Corps, Air Force, Coast Guard, and the Commissioned Corps of the US Public Health Service and the National Oceanic and Atmospheric Administration (NOAA). There is at least a 20 year overlap of marriage and the military service. A former spouse who has employer-sponsored medical insurance is not eligible for military medical care or TRICARE. If the employer plan is optional, the former spouse may decline that insurance and remain eligible under TRICARE. The former spouse may enroll in TRICARE Prime, where available, at the same rate as a retiree, with the accompanying enrollment fee and co-pays. If the former spouse uses TRICARE Select, he or she is responsible for the co-pays and any amount over the TRICARE allowable charges. DEERS will reflect TRICARE eligibility for unmarried former spouses using the former spouse’s own Social Security number. For more information, access the TRICARE page for former spouses. There is at least a 15 year overlap of the marriage and military service. A “20/20/15” former spouse who has employer-sponsored medical insurance is NOT eligible for the one-year transitional medical care. However, if the employer plan is optional, the former spouse may decline that insurance and participate in the one-year benefit. “20/20/15” spouses are not eligible for commissary, exchange, or MWR privileges. Children residing in the household of a separated spouse continue to be eligible for commissary privileges until the divorce is final. Once the divorce is final, children residing in the home of a former spouse who are not authorized commissary privileges are not considered members of the authorized sponsor’s household for purposes of commissary privileges, even if the sponsor provides or maintains the household. Children continue to be entitled to use the exchange and MWR if they are dependent on the sponsor for over 50%of their support. “20/20/15” spouses are not eligible for commissary, exchange, or MWR privileges. Children residing in the household of a separated spouse continue to be eligible for commissary privileges until the divorce is final. Once the divorce is final, children living with a former spouse are not considered members of the authorized sponsor’s household for commissary privileges, even if the authorized sponsor provides or maintains the former spouse’s home. Children are still entitled to use the exchange and MWR if they are dependent on the sponsor for over 50% of their support. If you are a 20/20/20 spouse or a 20/20/15 spouse, be prepared to bring specific documents with you to the pass and ID office at your nearest installation to get your new ID card. Bring certified copies of your divorce decree, marriage certificate, and the service member’s DD214 (if retired). You will also need the service member’s Social Security number. The former spouse will be issued a new ID card with a different identification number from the service member. It is always a smart idea to contact the ID office before you go to verify what documents you will need. Many myths surround custody and military parents, including the myth that a military parent cannot have primary custody of a child. This is simply not true. Each state provides guidelines for custody arrangements and many states require parents to develop a plan that is flexible enough to meet the job demands of each parent, in addition to the needs of the child. When military parents are developing a custody plan, they should keep in mind the age of the children, what will happen when the service member deploys, what will happen when the service member returns from deployment, and what the visitation schedule will be like if the service member transfers out of the state or out of the country. When developing a custody plan, try to think beyond the current living situation and age of your child. Custody plans can change based on a change in circumstances, including age of child, new job for either parent, remarriage of either parent, or any other criteria your state permits. Federal and state laws impose responsibility on both parents to financially support their children. Child support proceedings can generally be initiated through the local child support enforcement agency where the custodial parent and child reside. Child support calculations vary by state and may take into consideration the number of dependent children, special needs of the children, number of overnight visits the child has with the non-custodial parent, and/or shared custody arrangements, etc. A family law attorney or child support enforcement agency representative can provide guidance on the child support guidelines in your state. If there is no court order for child support, or written agreement between the parents, each Service has regulations which require service members to provide “adequate support” to family members. Family support guidelines vary by Service and can help reduce financial strain until a child support order is finalized. Garnishment orders can be enforced within the military. Garnishment means the child support court order directs the employer (in this case, the military) to deduct child support directly from the service member’s paycheck each month. The garnishment order must be served on the Defense Finance and Accounting Service (DFAS). Once a garnishment order has been established, it can only be stopped or changed by a written instruction in the original court order or through a subsequent court order directing DFAS to stop or change the current deduction. Amounts received as veteran’s disability or military disability pay. Retired pay awarded as property is not affected by remarriage. FSPA allows a former spouse to receive a direct payment of retired pay from the Defense Finance and Accounting Service (DFAS) center upon presentation of a valid court order, for alimony, child support, or property division. Direct payments cannot exceed 50% of disposable retired pay divided as property; an additional 15% can be paid on a garnishment order (such as child support or alimony). A valid court order must certify that the service member’s rights were observed under the Servicemembers’ Civil Relief Act (SCRA). Military pension stops when the service member dies. SBP is a survivor annuity that pays a specified beneficiary 55% of the selected base amount (up to age 62) when the service member dies. The Reserve Component Survivor Benefit Plan is similar to the active duty SBP. Choices include: making an election upon the reservist’s retirement; deferring election until age 60, when the retirement benefits start; opting for a deferred SBP annuity; or starting SBP annuity immediately. A former spouse who remarries before age 55 loses SBP eligibility; however, if remarriage is terminated then eligibility is reinstated. Remarriage after age 55 does not terminate SBP eligibility. To assure coverage under SBP, the former spouse should submit a written request and a court-certified copy of the court order to the Defense Finance Accounting Service (DFAS). (Our Association recommends such a transmission be followed up with “return receipt requested” mail.) The request and copy of the court order must be filed with DFAS within one year of the date of the court order.